This simple elegant contemporary diamond necklace & chain are made in 18ct white gold. 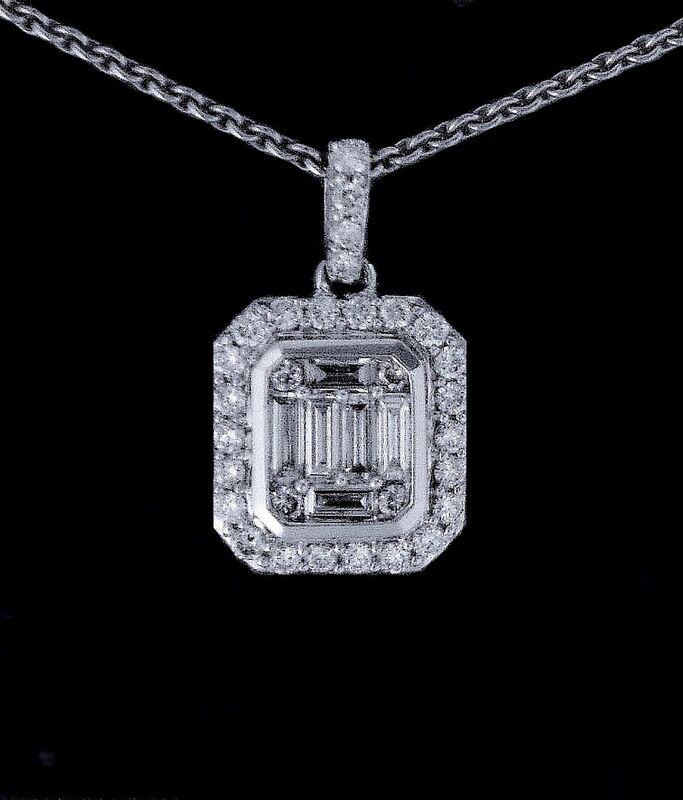 The pendant is shaped as a square with loped corners the inner section of which is set with 5 baguette cut diamonds that give the illusion of a large single stone. These diamonds are framed by a surround of small round diamonds that is attached to a diamond set loop. The pendant is hung on an 18ct white gold chain.